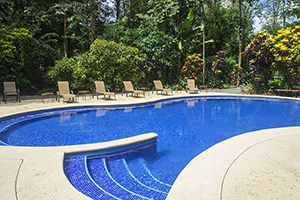 Surrounded by rain forest, Selva Verde Lodge offers explorers world class accommodations, facilities and amenities for a wide range of groups. Live above the rain forest in our authentic jungle lodge or experience the seclusion of our newly remodeled and air conditioned bungalows. Amenities include dining, bar and a refreshing pool as well as meeting, lecture and classroom space. 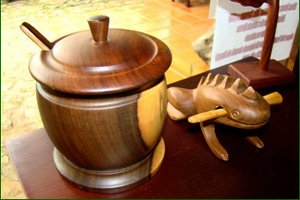 Selva Verde hosts many groups and opportunities for learning. 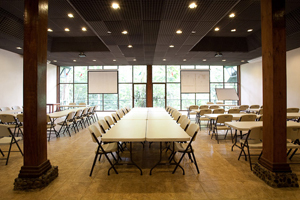 We offer fully equipped meeting and lecture rooms to our guests. Our beautiful dining room is one of a kind. 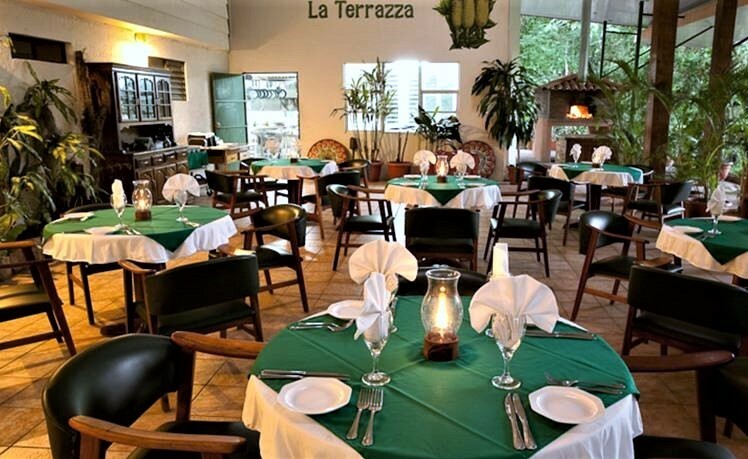 Over- looking the Sarapiquí River and serving the best in local and international cuisine. After a busy day experiencing all that Selva Verde has to offer the adventurous rainforest explorer can relax in our new "jungle" Pool. Visit our Gift Shop is where you can purchase personal items and mementos of your stay at the lodge.